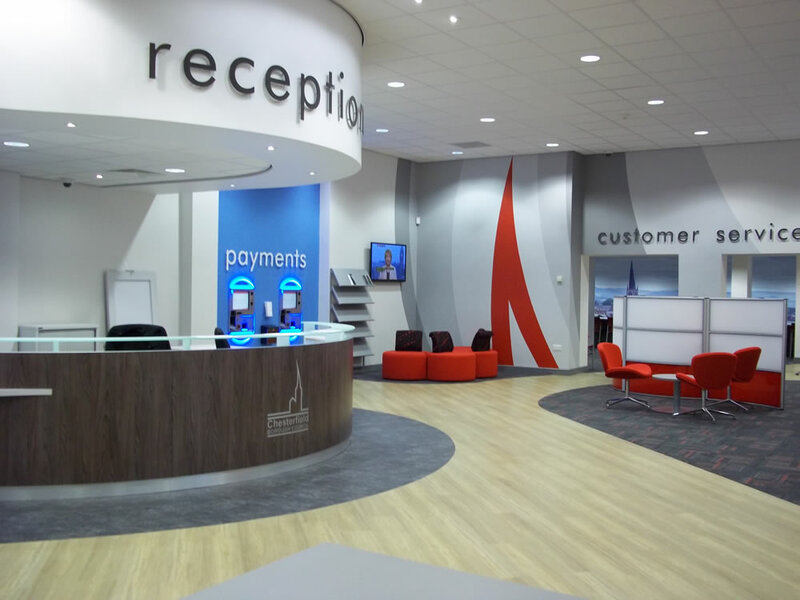 Frank Shaw Associates has completed the fantastic new Customer Service Centre for Chesterfield Borough Council. The centre, replaces Chesterfield Borough Council’s old Revenues Hall and will now handle most of its face-to-face enquiries on revenues, benefits, licensing, planning and environmental issues. Frank Shaw stripped out the existing, ‘tired-looking’ interview rooms, cashier counters and glazed screens, and in their place created a spacious, accessible and friendly setting for the delivery of council services. 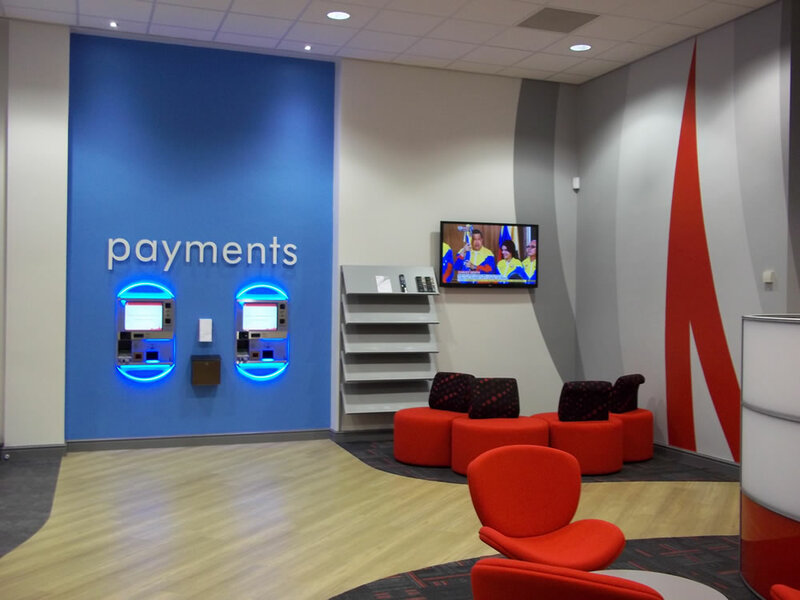 Customers are now greeted by a welcoming curved reception area, comfortable open-plan seating areas, and easy-to-use payment machines; along with a full-height panoramic scene of Chesterfield and bright bold ‘crooked spire’ graphics. To mark the opening of the centre, large-scale works by local artists and photographers have also been incorporated, featuring dramatic landscapes of Chesterfield and Derbyshire. The great thing for residents is that carrying out this work has enabled most of the Council services they need to be housed all under one roof, so they only have to make a single visit.